In the era of the British rule, when it was unimaginable to even think of owning a business, this man-made and built his own empire by expanding his business in leaps and bounds. Yes, I am talking about the one and only, Ghanshyam Das Birla, the founder of the Birla Brothers Pvt. Ltd. which is now the leading producers of tea, textiles, cement, chemicals, rayon and steel tubes. 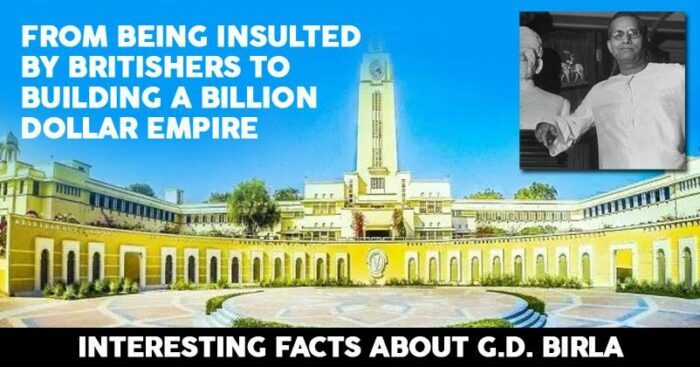 G.D. Birla was a self-made man who laid the foundations for what later became a billion-dollar empire and to this day his legacy continues to dominate the Indian Business World. His journey is extremely motivating and influencing. The events he had encountered and the tough times he had handled are the stepping stones of him becoming a sensation. At the age of 16, he started an independent business as a broker and his contact with Englishmen began from there as they were his clients. In 1918 Ghanshyam Das Birla incorporated the Birla Brothers Pvt. Ltd. on the 9th of July, which was a non-government company. 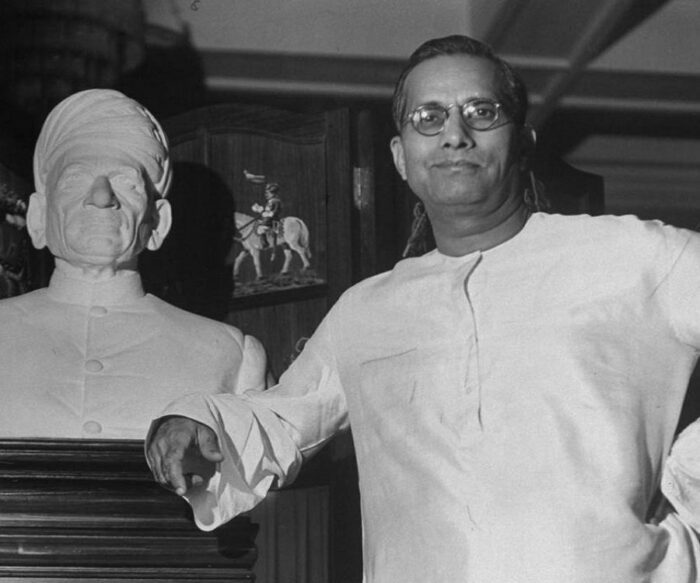 He initially traded in jute, from Kolkata and then in the next few years he acquired several cotton and sugar mills. He was often humiliated by the Englishmen while he did business with them. He was not allowed to use their lift and benches to wait. But he did not allow these events to affect his business and triggered them towards his political interest. It was just after some time, in 1926, he was elected to the Central Legislative Assembly of British India. He became a close associate of Mahatma Gandhi and followed his advice on several matters. He was an active member of politics and was a key member of Gandhi’s Khadi Movement. During the Raddo-Cartridge affair, he was made to go underground for a period of three months as he was associated with the affair. It was during the Quit India Movement in 1942 when he developed an idea of commencing a Commercial bank. 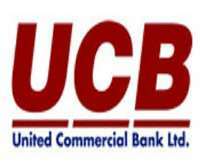 He laid the foundations of one of the oldest commercial banks we have now, the UCO Bank, then known as the United Commercial bank Ltd. In the same time, he also established Hindustan Motors and expanded his business to an all new level, that to during the Second World War. After India’s Independence, he then ventured into textiles and started Grasim in 1948 and Hindalco in 1958. He was also awarded the Padma Vibhushan in 1957 which is known as India’s second highest civilian awards. Ghanshyam Das Birla was a nationalist businessman who started with nothing and built a huge business empire in just a matter of 20 years. He also founded several educational institutions. 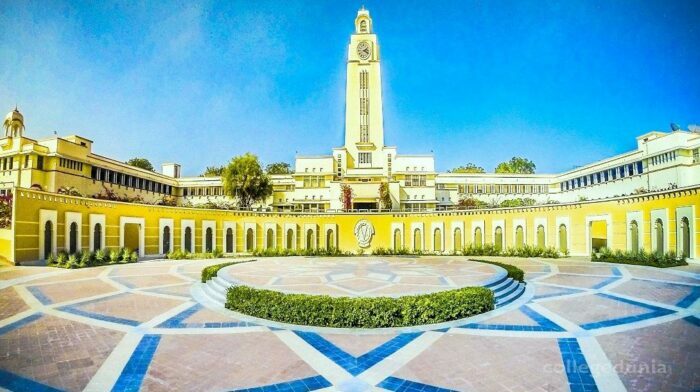 One of them is the prestigious Birla Institute of Technology and Science (BITS), Pilani, which is now one of the leading engineering institutes of India. Since 101 years, the Birla Brothers Pvt. Ltd. has majorly been into trading business and currently, company operations are active.